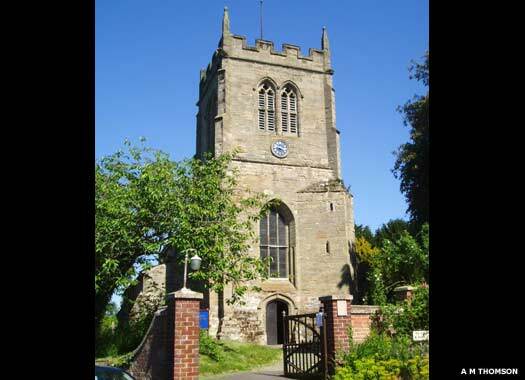 St James the Great, Snitterfield, is on Church Road, on the eastern corner with Cedar Drive. 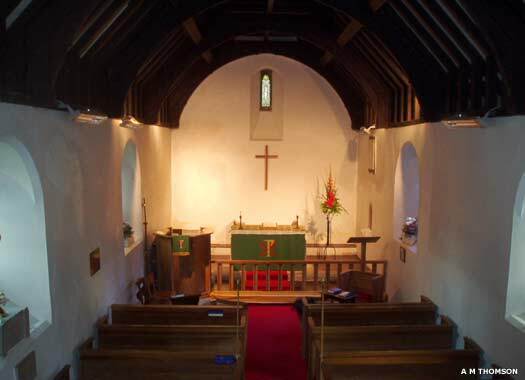 It is a large parish church with chancel, nave, north and south aisles, and a west tower. 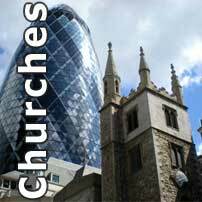 It was developed over several centuries, perhaps replacing an earlier, Norman church. In 1086 there was a priest based here, implying a church, and Pope Honorius II (1125-1130) confirmed the church to Kenilworth Priory but there is no later evidence of any connection with the priory. Hugh fitzRichard gave the church to the Priory of St Sepulchre, Warwick, but between 1174-1325 it remained with the manor until it was conveyed back to St Sepulchre's. A vicarage was ordained in 1330. Following the Reformation the advowson and rectory were subdivided more than once. The church itself is a confused mixture of styles, with the oldest work, the south arcade, dating to the latter thirteenth century. Even the tower was erected in several stages. The Church of St Mary the Virgin, Bearley, is on Church Lane, on the southern side of the junction with Snitterfield Road. 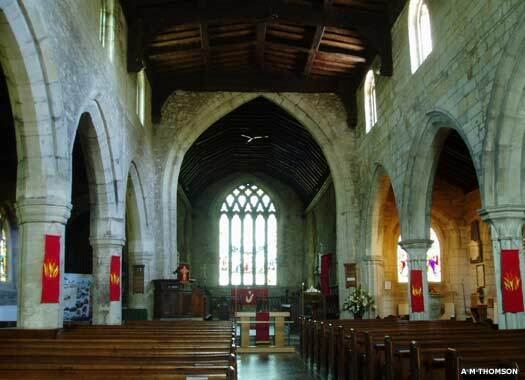 The church has been largely rebuilt in modern times, but the nave dates probably from the end of the twelfth century and the chancel with its thinner walls, which are built of lias rubble, may be of the thirteenth or fourteenth century. Much of the upper part of the walling is modern, as are the windows, while the nave was lengthened by three metres (ten feet). The western porch and bell turret was added early in the nineteenth century, and one of the three bells in that turret is medieval. The east window is a single light which is set high up, but there is patching work for a former lower window. In the north wall are the remains of a twelfth century sandstone doorway, which was blocked up at some point. 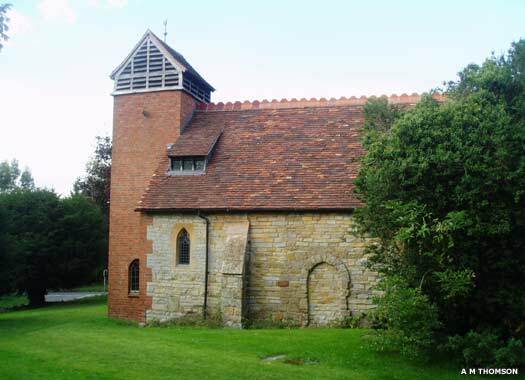 Bearley was attached to the church of Wootton Wawen in 1221 and has remained so ever since.